Did the title get your attention? I hope so! 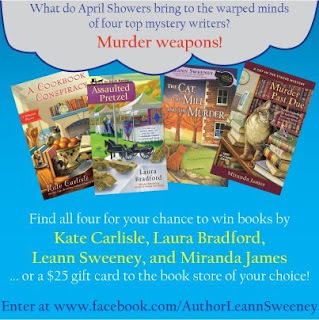 I've paired up with three terrific cozy mystery writers to offer the April Showers contest. In our warped mystery-writing minds, April Showers don't bring May flowers - they bring murder weapons! This contest is really all about getting "likes" for our facebook pages. 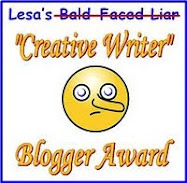 When you go to my author page, click on the blue "April Showers" button. But the Cozy Chicks could use more "likes" as well. 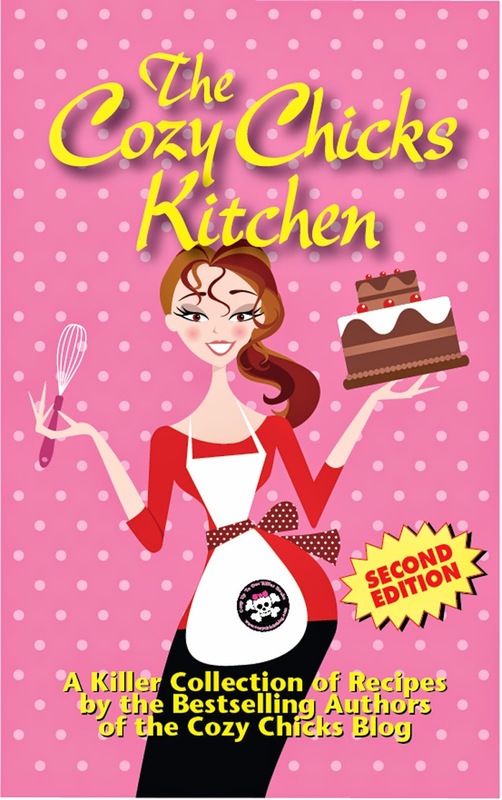 This is one way we get information to readers about all sorts of things--like signings, new releases and chances to win things and to get little prizes the Cozy Chicks give away on a regular basis. So, here are some Facebook addresses to "like" or "friend." 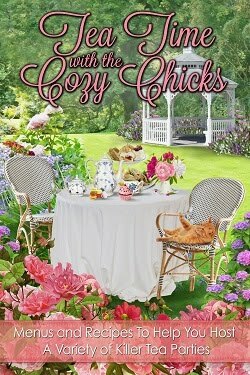 The first four have the current contest links, the rest belong to the Cozy Chicks. Have a wonderful Sunday, everyone. It will be better because two terrorists are being taken care of--in different ways, but no longer a threat. That is great news! I thought I was following every page already, but I added 2 more likes. Have a nice sunday ladies!